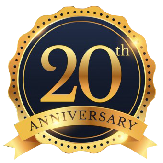 For more than (20) years, Procard International, llc. (PCI) networks have been providing access to some of the largest dental, optical, pharmacy, and physician services available. PCI card holders can benefit from our services whether they have insurance or not. Procard International, llc. (PCI) was established over (20) years ago.